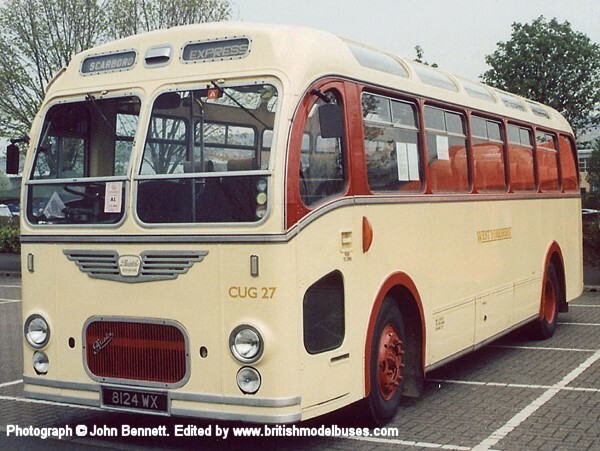 This photograph was taken at the Isle of Wight Bus & Coach Musum, Ryde, on 17th September. 2017 and shows ex-Southern Vectis fleet number 806 (FDL927D). 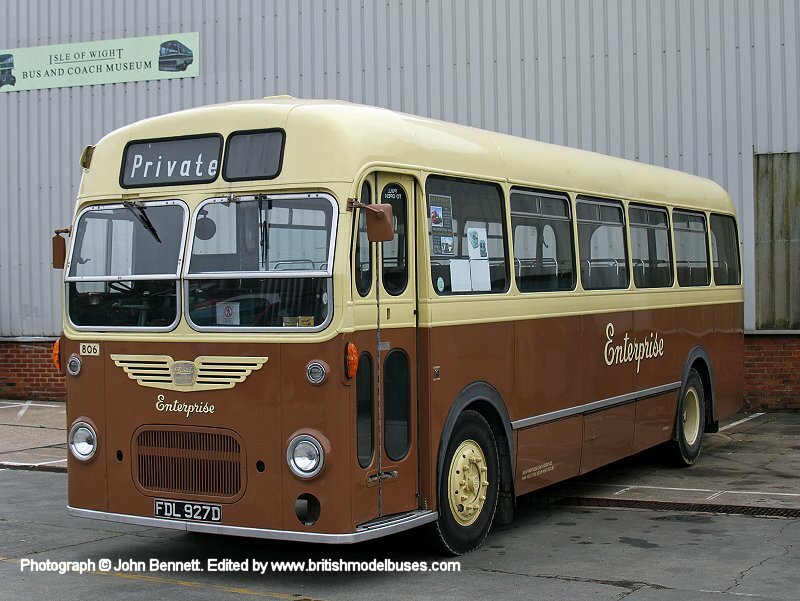 The Museum states that the bus is currently preserved in "a representation of the livery of a former Isle of Wight company, Enterprise". 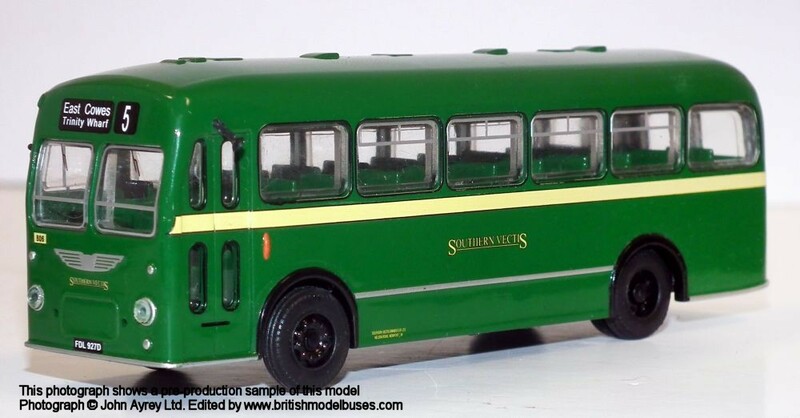 In Southern Vectis livery, this is the actual vehicle represented by BT-Models model B210A. 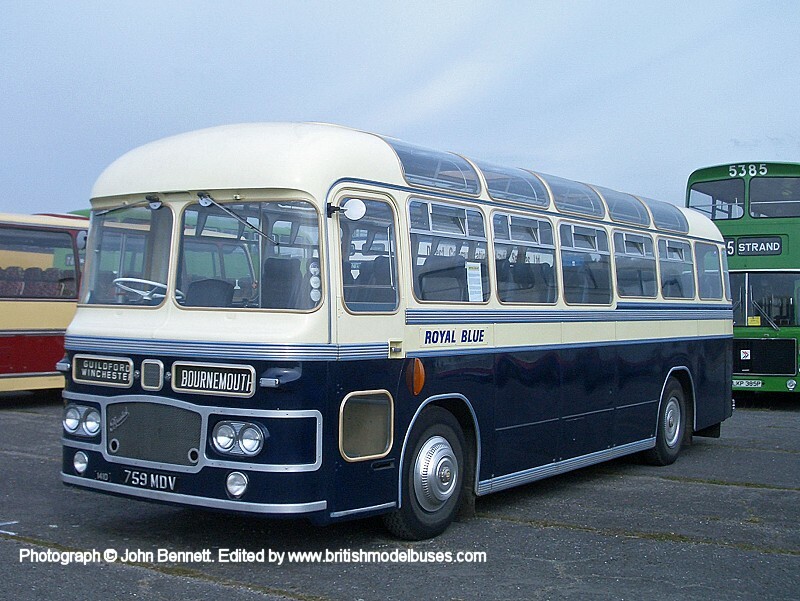 This photograph was taken at Wisley Airfield on 11 April 2010 during the Cobham Open Day & Spring Gathering and shows fleet number 1410 (759MDV). This is the actual vehicle represented by Oxford Diecast model 76MW6001. 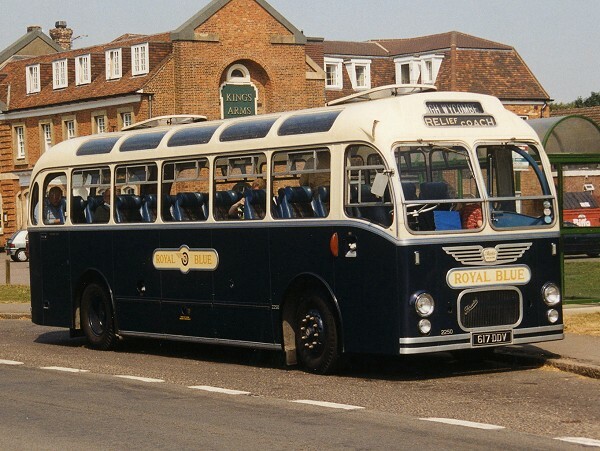 This photograph was taken at Stokenchurch during the 3rd Thames Valley Running Day and shows fleet number 2250 (617DDV). 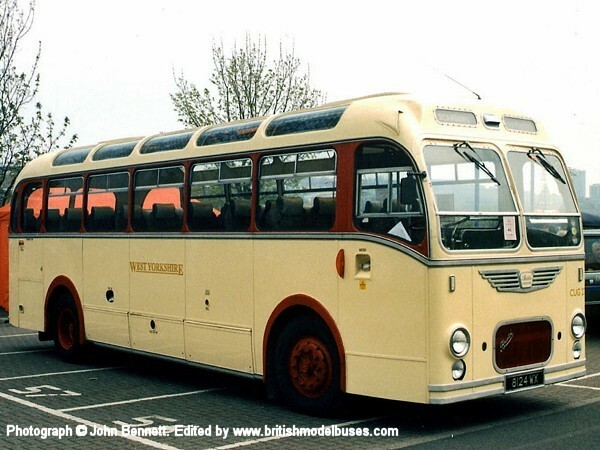 This vehicle is similar to fleet number 2230 (XUO713) as represented by EFE model 16216. 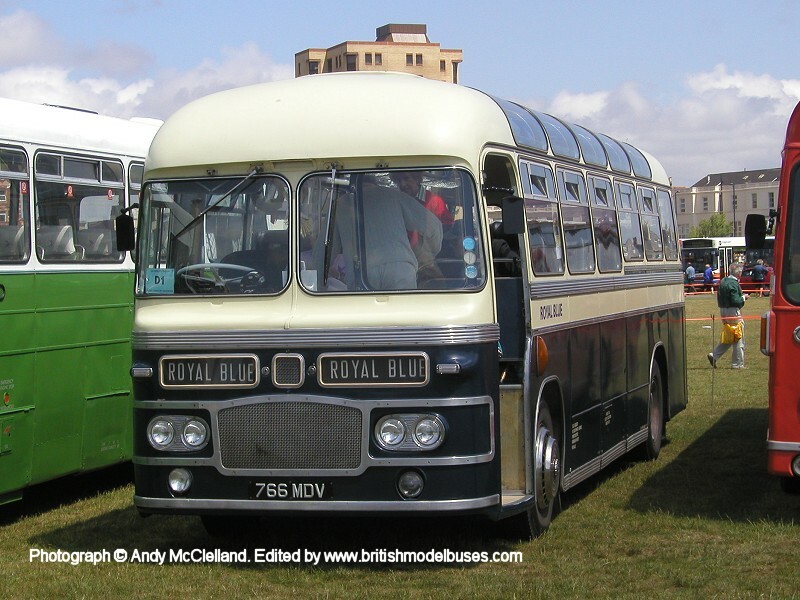 This photograph was taken at the Southsea Spectacular in 2003 and shows fleet number 2278 (766MDV) delivered new to Southern National 05/1963 for Royal Blue services. 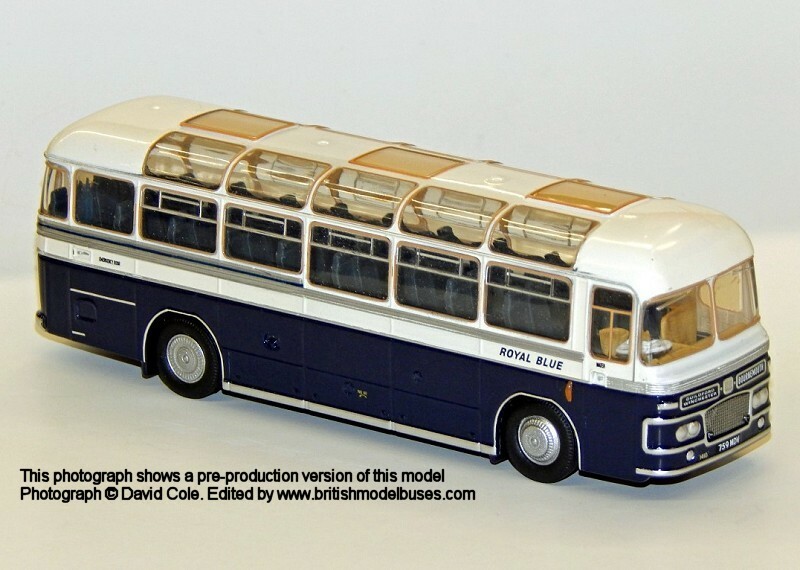 This is a sister vehicle to 1410 (759MDV) as represented by Oxford Diecast model 76MW6001.